Jane and Connie were standing at the head of the stairs. ‘There, do you hear it?’ Jane whispered. From somewhere down below floated up a peal of chimes. ‘Maybe it’s a clock?’ Connie suggested. Los Angeles, 1974. The night patrolmen of Wilshire Division in central Los Angeles work an eight-hour shift, dealing with the underbelly of society – the bad, the mad, the schemers, the downtrodden, and their victims – as well as their bureaucratic bosses who seem more interested in their career trajectories than their fellow officers or the city they serve. To let off steam, ten of them meet occasionally in MacArthur Park at the end of the shift, along with a couple of overweight cop groupies who work as cocktail waitresses, for ‘choir practice’ – quickly getting drunk on shaken-down booze, fooling around, sharing their night’s adventures and gossip, and venting their frustrations. One night, however, choir practice ends in tragedy with a fatal shooting that threatens all their careers. 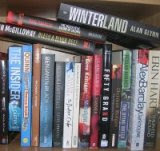 There’s a reason why a ‘best reads of a year’ list should be published in January of the following year. In this case, the reason is The Choirboys. Set in 1974 in central Los Angeles, the tale follows the lives of five pairs of patrolmen working the night shift over a six-month period, culminating in a fatal shooting in MacArthur Park, where the men gather periodically to get drunk and let off steam. The shooting and its fallout form the hook of the story, but the bulk of the novel consists of a series of vignettes related to each pair of patrolmen; their work dealing with the underbelly of Los Angeles society, their interactions with their bosses and each other, and their personal lives. In essence, the narrative is an extended piece of contextualisation leading up to the MacArthur shooting, as well as a stinging social critique of the ills of society, its causes and the responses, and the nature of policing and police management. The book was written during Wambaugh’s last serving year as a Los Angeles police officer before he left to become a full-time writer, and it clearly draws on his own experiences and frustrations working a beat and dealing with the administration, as well as the stories and legends circulating among cops. The result is a fascinating, multi-layered story of ten men struggling to be the thin-blue line, upholding the law in a society creaking with inequalities, abuse and crime, while also trying to keep their own lives from tipping over the edge. Their safety valve is ‘choir practice’ – a gathering in MacArthur Park at the end of their shift in which they get drunk and vent. The characterisation and social relations excellent, with Wambaugh fleshing out fully-dimensional personalities who form an uneasy and fractious alliance. The vignettes and story arc are compelling and realistic. And the prose and voice are engaging, blending serious social commentary with black humour and tragi-comedy. Indeed, much of the story is dark in focus, dealing with tragic situations, though Wambaugh balances the pathos with some mirth and genuine laugh-out-loud moments. 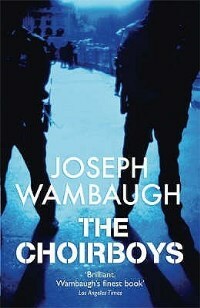 At times, the story is a little over-extended, and Wambaugh exaggerates his critique by focusing on a mixed group of screw-up cops tainted by misogyny, racism, violence, corruption and other vices, but there’s no getting away from the fact that The Choirboys is a brilliant novel that works on many levels. A thoughtful, insightful, critical and entertaining read. The village of Duneen is full of lonely souls. Overweight Sergeant PJ Collins has let life pass him by policing a small rural community where nothing much happens. He’s pampered by his elderly housekeeper, who has been keeping other peoples’ houses for over forty years. The three Ross sisters live together in their old farmhouse, as they have done since their mother died of cancer and father committed suicide when the youngest was still a teenager. Brid Riordan has a least married and has two children, but it is a loveless match and she regularly drinks herself to sleep. When the skeleton of a man is found buried on the old Burke farm, PJ Collins suddenly has a major case to investigate and Evelyn Ross and Brid Riordan are reminded of the source of their discontent and rivalry – the disappearance of Tommy Burke twenty-five years ago. Each blame the other for lost love and suspect the other of murder. PJ’s ambition to solve an old crime is dented by the arrival of a detective from the big city and it soon appears more difficult to unravel than anticipated and to reveal some of the village’s dark secrets. 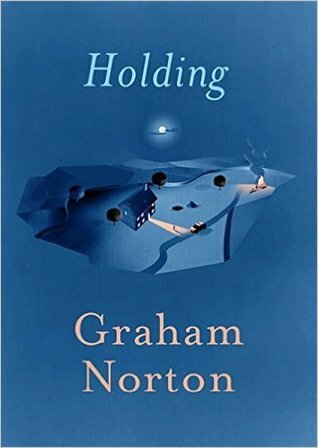 Comic Graham Norton’s debut novel is a rural police procedural, somewhat in the cozy mode, set in rural Ireland. The story follows Sergeant PJ Collins’ investigation into the circumstances that led to a man being buried at the old Burke farm after his bones were uncovered by workmen. The suspicion is that the bones are those of Tommy Burke, who disappeared twenty-five years previously. At the time he was engaged to be married to Brid Riordan, but was also being pursued by young Evelyn Ross. Neither woman fully recovered when Burke supposedly skipped town never to return, having been seen catching the bus to Cork; Riordan slipping into a loveless marriage and Ross retreating into life as a spinster looking after her two sisters. The discovery of the bones unsettles the lives of both women, who suspect each other of foul play, but provide purpose for PJ, who finally seems to be discovering himself after years of freewheeling loneliness. The strength of the story is the characterisation, especially PJ, Brid and Evelyn, and their interplay. Norton portrays each sympathetically and nicely captures their personalities and frailties. There’s no great surprises in the plot, but it is nicely constructed and builds to an engaging denouement. However, it is a little uneven in its telling, especially with regards to one reveal. Where the tale does suffer a little though is with respect to context. The themes, social relations and Ireland portrayed felt more like a tale set twenty years ago rather than 2016. Moreover, the police procedural elements and social context did not ring true – a small rural village would not have a full-time police station, it would certainly have mobile phone coverage if it had a station, and it is highly unlikely that a brand new housing estate is being built in a rural area in Ireland at present (finishing off a ghost estate, maybe) or anyone is managing to sell sites. In this sense the tale felt nostalgic for an era when Norton left Ireland, rather than being set in the present. Nonetheless, it was an enjoyable read dealing with themes of love, loss, secrets, statis, and loneliness. In 1853, Russia after a lengthy negotiation with the European powers of Britain, France and Austria and threats to the Ottoman Empire, entered the Danubian principalities (now part of Romania). Ostensibly the origin of the conflict lay in squabbles over access and control of the Holy Lands between the Orthodox Church and Catholics and the treatment of Christians in the Ottoman Empire. In the background lurked a large geopolitical project of speeding up the decline of the Ottoman Empire and the gain of territory and expansion of the Russian sphere of influence. The Turks declared war and France and Britain backed them seeking to block Russian imperial plans. As British and French fleets entered the Black Sea and troops moved into Danube delta, Russian withdrew. Rather than conclude with peace, France and Britain decided to continue the campaign to cower Russia. Their intent was to deal a devastating blow in the Crimea, seizing Sevastopol, the Russians main naval base. After a successful landing in September 1854 and march on the naval base, British and French military leaders made a series of blunders and rather than quickly taking the port ended up in a long and costly siege that lasted eleven months. In March 1856, Russia sued for peace and the war was officially ended by the Treaty of Paris that forbade a Russian fleet in the Black Sea, led to some Balkan states becoming mostly independent, and to moderate reforms in the Ottoman Empire. 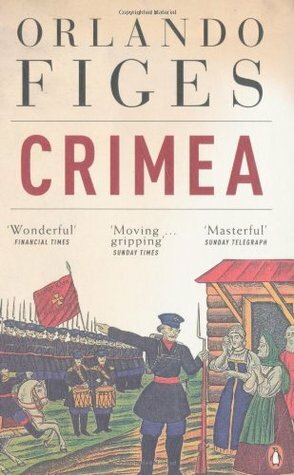 Orlando Figes provides what one blurb calls ‘wide-angled history’ of the war, drawing on a range of sources to cover the conflict from all perspectives. The result is a very detailed account of the war, including an extended introduction charting the pathway into the war, and an extended epilogue that documents its short and long-term consequences with respect to European affairs and the political map. In particular, he details the geopolitical context to the war and the various machinations at work, as well as the key political and military personalities within the various nations, and each of the main battles. By drawing on personal diaries and newspaper coverage he provides intimate details of bloody encounters and political intrigue. The book thus provides a fascinating account of the context for and surrounding the war, as well as its actual prosecution. In many ways, however, the telling could have done with a bit of an edit. In its ambition to be the most thorough and balanced account of the war, it ends up being overly long, with too much context prior to and after the war, and often too much detail concerning its various elements (there are dozens of vignettes of various minor personalities, for example, which while interesting are effectively asides). This will be a huge plus for some readers, but for me put too many trees in the woods. Nonetheless, it is an impressive piece of scholarship and certainly informs the reader about all aspects of the conflict and its aftermath. Happy Christmas Day. I hope you got a sackful of lovely presents. In terms of wrapping, this one was my favourite - the shape and gaping hole left me guessing! A man wakes in a field. He is unsure who he is, where he is, or how he got there. Gradually he gathers himself and starts to explore. In a nearby river bodies are floating past. At a farmhouse a young man appears to be burying two people. He starts a journey, heading to where he thinks home might be. He is joined by the young man, Janek, who reveals they are in Czechoslovakia. The war is on-going, but the Russians are not far away and the roads are full of refugees. Using a fragment of map, Owen, heads into Silesia with a sense he is searching for something, though he’s not sure what. Janek is hunting for his brother, Petr. Unable to retain memories for long Owen jots down notes to refresh his knowledge. Gradually he starts to remember fragments of his life in England, his brother, a woman, and joining the RAF. On their journey Owen and Janek meet Irena, a troubled young Polish woman who is trying to give away her unnamed baby. Together the three of them plus the baby head towards Leipzig en route to England, the past of each gradually catching up with them. And the more they progress into the heart of Germany the more devastating the journey becomes. 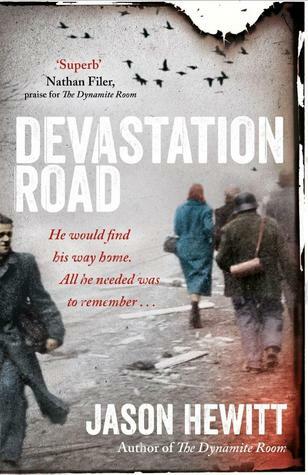 Set in the last days of the Second World War, Devastation Road charts Owen’s journey from a field in Czechoslovakia back to England. As told by Hewitt it’s both a physical and metaphorical journey – a slog across Germany and one of self-discovery. With amnesia and disorientated, Owen sets off on foot accompanied by a young man, Janek who is seeking his brother. Initially avoiding roads, they soon join the endless stream of refugees and are joined by Irena and her baby, who is seeking the man who raped her to pass on the child. Together they journey to an abandoned prisoner of war camp, then onto the rubble of Leipzig, ending up in concentration camp shortly after liberation. Along the journey Owen starts to remember fragments of his life and how he ended up on the continent. Janek and Irena have their own secrets that are also gradually revealed. The strength of the story is the hook of the journey and the evolving dynamic between Owen, Janek and Irena and the gradual piecing together of each of their lives. The tale seemed to sag and lose direction a little in the middle section, and I never quite connected with the lead characters, but Hewitt brings the story to a poignant denouement. The result is a thoughtful tale that deals with themes of memory, belonging, regret, and redemption. Lev Beniov is the son of a poet who has disappeared in Stalin’s purges. Aged seventeen he chose to stay in the sieged city of Leningrad when his mother and sister were evacuated and spends his nights as a fire warden on the roof of his apartment block. When a dead German parachutist lands nearby he and his starving friends loot the body. Lev, however, is caught by the NKVD and taken to the infamous Crosses prison. He is soon joined in his cell by Kolya, who has been arrested for desertion. The penalty for looting and desertion is death. However, the following morning they are taken to see a colonel who is determined that his daughter will have a cake at her wedding reception at the end of the week. His wife needs a dozen eggs and Lev and Kolya’s task is to find and bring them back or be executed. It seems like an impossible task in a city cut off from supplies and fresh food is a distant memory. Given no option, the two strangers embark on their quest, scouring the city and heading out behind enemy lines. City of Thieves is a well crafted coming-of-age story set during the Siege of Leningrad. It’s told from the perspective of the author recounting how his grandparents met before emigrating to America. The tale has a number of strengths, including an engaging voice and prose, well-paced narrative, a well-developed sense of place, time and context, and a great hook and engaging story line. What makes the book shine, however, is the characterisation and the emerging relationship between two friends. Lev is a shy, intelligent but somewhat naïve seventeen year old working as a fire warden. Kolya is only a couple of years older but is gregarious and much more worldly-wise. The pair are thrown together when Lev is caught looting the body of a dead German parachutist and Kolya is arrested for desertion, having slipped back into the city for some female company. Facing summary execution, they are given the option of a reprieve if they can locate a dozen eggs for the wedding cake of a NKVD colonel’s daughter. While Lev is uncertain how to proceed, Kolya seems to relish the challenge, confident he can use his charm, wit and wiles to track down the eggs. As their quest unfolds Kolya takes Lev under his wing and an uneasy friendship starts to develop, deepening as they encounter a number of challenges. Having quickly exhausted options in the city, they move through Soviet lines into the countryside beyond, tangling with partisans and Germans. One partisan in particular catches Lev’s eye, Vika, a deadly sniper. She seemingly has little interest in him or Kolya, though gradually she becomes the third member of the quest. Benioff nicely blends the action of the adventure with the dynamics of the emerging friendship and observations about Soviet society and the war. And while the tale could have been dark and depressing, Benioff nicely balances pathos with dark humour and moments of warmth. Where the story does slip a little is with respect to the emotional register, particularly towards the end, with an absence of grief or anger or a tugging on heart strings. 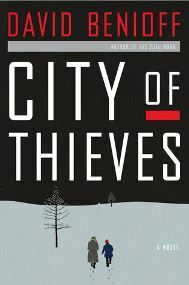 Nonetheless, City of Thieves is an engaging and entertaining tale of hardship, friendship and adventure. Tom turned the corner and stopped abruptly. Half the row of terrace houses had collapsed. ‘Cable Street got it as well, poor buggers,’ a passing woman said. He stumbled forward, ignoring the melee of filthy firemen. Tom pushed the arm away and scrambled up onto the rubble. Almost immediately he spotted the tiny hand reaching skyward. He dug frantically into the debris and halted. He didn’t know whether he was relieved or not. On June 25 1950 communist North Korean troops invaded South Korea advancing quickly. Seoul fell shortly after and the well-armed invaders made steady progress down the Korean peninsula. The US and United Nations pledged political and military support to South Korea, with US troops mobilised from Japan for war, with others shipping from the US and Mediterranean. Given the huge downsizing of the US military post Second World War and their relatively easy postings US troops were ill-prepared for combat and they fared poorly in their initial encounters with the North Koreans. As the supply lines were extended and more US and UN troops arrived, the battlefront stabilised around Pusan at the foot of the peninsula. The job of pushing back the North Koreans largely fell to the US marines, a branch of the military threatened at the time with being phased out. 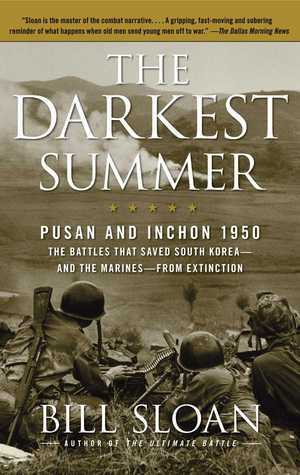 The Darkest Summer tells the story of the US marines battles in Korea in 1950, mainly focusing on battles on the Pusan perimeter and the daring amphibious assault at Inchon near to Seoul. While the book discusses each encounter and provides eye-witness testimony, it largely skims over the wider political landscape and military strategy and also the battles undertaken by UN or South Korean troops. Indeed, it is a very US-centric account of the first phase of the Korean War. As such, while it was interesting and one got a sense of the battles from a soldier’s point of view it is somewhat myopic and narrowly framed. Lily Callington fled with her mother to Britain from Germany in the late 1930s, leaving her father behind. November, 1960, and she’s living in Muswell Hill, is married to Simon and has three kids. Late one evening Simon’s boss from the Admiralty, Giles, phones from hospital and asks him to visit immediately. It seems that Giles has taken home a top secret document and needs Simon to return it covertly. Once in possession of the file, Simon hesitates. Shortly after Simon is arrested and accused of spying for the Soviets. While a small camera is found in his office at work, the crucial file is still missing. Suddenly Lily’s world is falling apart. Her husband is in remand, her job is under threat, her neighbours and colleagues shun her, and the kids are being bullied. Simon seems resigned to his fate with the evidence stacked against him and Lily seems destined to repeat the flight to safety she experienced twenty years previously. She’s a fighter though and she’s determined to try and keep her family together. Exposure is a spy drama that focuses mostly on the fallout affecting a wife and children when a family-man is framed as a traitor. The tale concentrates on a triangle between Lily Callington, her husband Simon, and his boss, Giles. In an effort to save his own skin after taking a top secret file home and ending up in hospital after a fall, Giles turns to Simon, a long-time friend and colleague. When Simon fails to take the file back he unwittingly positions himself as a fall-guy. 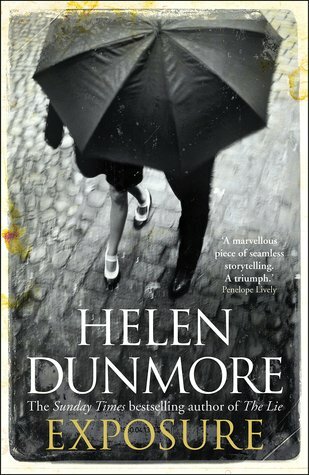 Dunmore uses the refrains of indecision, waiting too long, and a hope that a situation will turn out alright to chart the fallout, setting the tale in the context of Lily’s flight from Germany twenty years earlier in which her family delaying leaving Germany, with only herself and her mother reaching Britain. The tale has a number of strengths. The storyline is nicely plotted and paced, with the unfolding drama of the ordeal interspersed with flashbacks to key moments in Lily, Simon and Giles’ lives and the gradual revealing of secrets that may have additional repercussions. The characterisation and character development is excellent, with each of the leads being fully dimensional, along with the children, and their interactions ring true. In addition, Dunmore keeps the mood and tension low-key but persistent, keeping the sense of an everyday family caught out of step front and centre. The result is an engaging, thoughtful, understated literary spy tale. It's been a slow reading week. Home and work has been hectic. I'm presently making my way through The Darkest Summer by Bill Sloan about the Korean war. The latter part of the book focuses on the invasion of Incheon, which is one of the places I stayed on my recent trip there. 1933. Clara Vine is a young British actress and daughter of a German mother and a former Conservative MP with fascist leanings. Fed-up with life in Britain and with an offer for the possibility of work at the famous Ufa studios she heads to Berlin. Partly through circumstance, partly through her heritage, Clara falls into a circle of senior Nazi wives, including Magda Goebbels who recruits her to model new German fashion and becomes her confidante. She is also being pursued by Goebbels right-hand man, Klaus Muller. Clara is no chip off the block, however, and loathes what the Nazis stand for and are up to. After an encounter with Leo Quinn, a spy whose cover is working in the British Embassy passport office, Clara agrees to continue her association with the Nazi wives and to pass on anything she learns. It’s a dangerous game and it becomes more so when Magda Goebbels enlists her in deadly game. 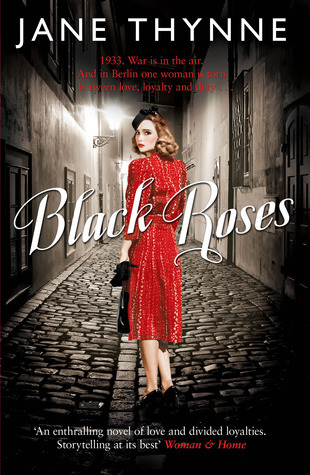 Black Roses is set in Berlin 1933 shortly after the Nazis have come to power and are undertaking the first wave of sweeping changes. The main protagonist is Clara Vine, a young British actress who hopes to establish a career at the Ufa studios. Shortly after arriving in the city, she falls into the company of senior Nazi wives and enrolled into a new fashion state agency that aims to dress German women in appropriate clothes. Principled and determined, with little time for the Nazi ethos and behaviour, she’s found herself in a difficult situation. That is made more unpalatable when a British embassy employee, Leo Quinn, asks her to continue to meet the wives and collect and report any interesting information. As she works undercover, unfolding events centred on the secrets of Magda Goebbels are drawing her ever further into a dangerous situation, and at the same time she’s falling for Leo while also dating a senior Nazi. Giving a sense of authenticity, Thynne populates the book with many real characters, events and fashions (and there’s certainly a strong focus on the fashion), as well historical context and the geography/atmosphere of the city. Clara, the set-up and the real historical context are intriguing and the story should have fully captured my attention and imagination. However, I never quite got fully engaged with the tale until the last section. I’m not sure why – partly voice, style, focus, pace, I think. It was just one of those stories that was okay, without being a compelling, immersive read for much of it. I’ll probably still try next book in the series as there’s a lot of promise in the main character and premise and I often find the second book clicks more strongly than the first. 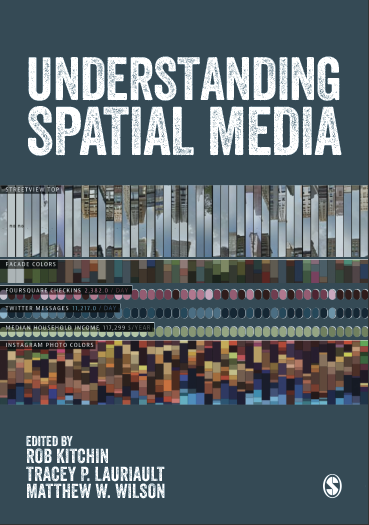 I'm presently working through the proofs for Understanding Spatial Media, which should be out early next year. Next job is the index. A tedious job, but one I think best done by the author/editor if its to be useful. Looking forward to seeing as a finished tome. ‘Stop. Just stop!’ Carrie threw up her arms. A mixed month of reading in terms of themes, styles, etc. 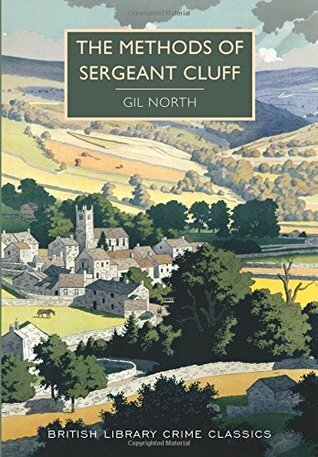 My read of the month was Gil North's The Methods of Sergeant Cluff, which was re-issued by the British Library. Cluff is certainly his own man, with his own methods, and it makes for an engaging police procedural.